Book pride is an independent editorial fair that organises the Osservatorio degli editori indipendenti (Independent editors' comitee - ODEI). In March 2018, their fourth edition took place in Milan, there were 35,000 visitors and 162 independent editors that presented their catalogues. The people responsible for this project told us how they organised this fair and why and how they chose Camaloon to personalise promotional items. 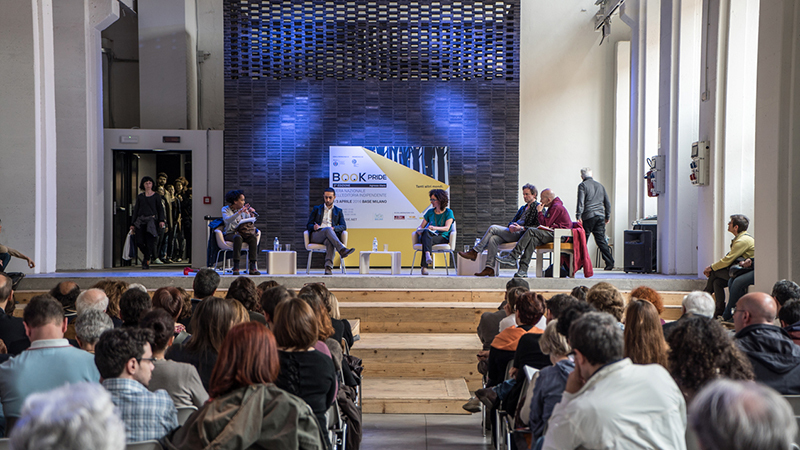 This edition hosted over 200 meetings with Italian and international authors, it was as busy as the 'Book Pride Off' event, in which independent bookshops, bars and other spaces in Milan held events for reading, reading groups, walks and converstations with writers. All of these activities boost the sale of books. What was the motto of this year's edition? We chose the motto 'All living beings'. Our idea was to represent multiplicity and change, and explain - before, during, and after the fair - the forms of all living beings, their ideas, actions, contracitions, projects, links, contrasts, etc. How did you bring this theme to life? To represent this very broad theme, we chose the image of a heart, symbol and logo of Book Pride for 2018. This heart will also be the image of the edition of the Book Pride fair that will be celebrated in Genoa in the autumn. How has Camaloon helped you personalise your promotional products? 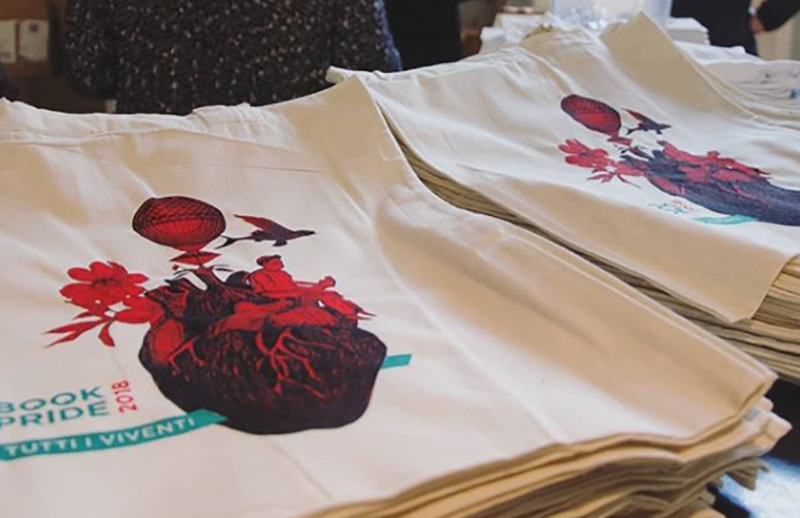 We turned to Camaloon to create the fair's image personalised bags (perfect for carrying books) and personalised t-shirts that we put on sale were also worn by our staff. Thanks to the personalised products we designed with Camaloon, Book Pride has travelled much further than just the exposition. Have you received comments about the personalised articles that you took to Book Pride? We know, through social network comments, that the image of Book Pride 2018, with the heart which represents 'all living beings', was really liked. And we know this because our visitors took many photos of the t-shirts and bags that Camaloon produced.